Gecko Designs - Bedrooms, Carpenter, Kitchens based in Whitehill, Hampshire. Invoice history based on 82 reviews. 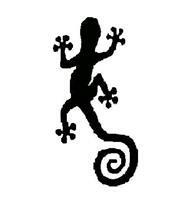 Thank you for looking at Gecko Designs Checkatrade page. We can provide all aspects of Carpentry and Joinery, Furniture and Cabinet Making, Kitchens and Decking. If it is site Carpentry or items manufactured in our workshop we are happy to help. We are happy to look at any job no matter how large or small, and will cover all your woodworking needs.